On Saturday, March 17, the Murphy’s Bar & Grill St. Patrick’s Day Block Party will again be the scene the largest St. Patrick’s Day celebration in the Pacific (and the world’s last in 2018, as it is every year). More than just a party, however, the Murphy’s St. Patrick’s Day Block Party will, as always, benefit worthy Hawaii non-profit organizations always in need of support. 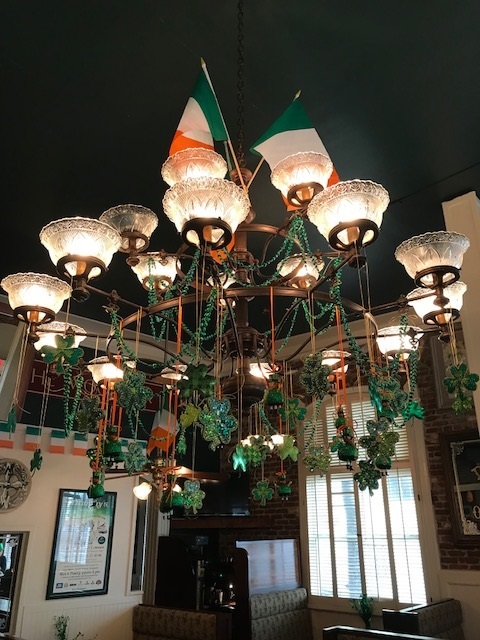 In its over 30 years, the Murphy’s Bar & Grill’s Saint Patrick’s Day Block Party has supported vital local charities with a generous portion of its proceeds. St. Patrick’s Day 2018 falls on a Saturday, so it is possible that this year’s crowd could swell to over 25,000 party-goers. Also, the street closure at Nuuanu Avenue and King Street will begin at noon (the closure begins at 5pm when St. Patrick’s Day falls on a weekday). 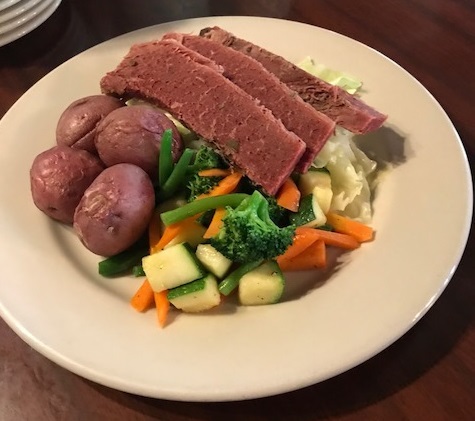 Murphy's Corned Beef is a Honolulu favorite. Mr. Murphy and his expert line of chefs will cook 3,000 pounds of corned beef in preparation for the block party. Preparations for the event begin months ahead of time. Hundreds of hours of work go into planning the logistical aspects of the even: permitting, purchasing, staffing, etc. And with a staff of dozens, hundred more hours of work go into the day itself. Clearly, Murphy’s commitment to community remains as strong as ever over 30 years, and indeed, continues to grow. Over 3,000 flower lei will be presented to the first to arrive. For the kids, the Keiki Booth will feature crafts and treats, and a chance to win Mrs. Murphy’s Shamrock Quilt. 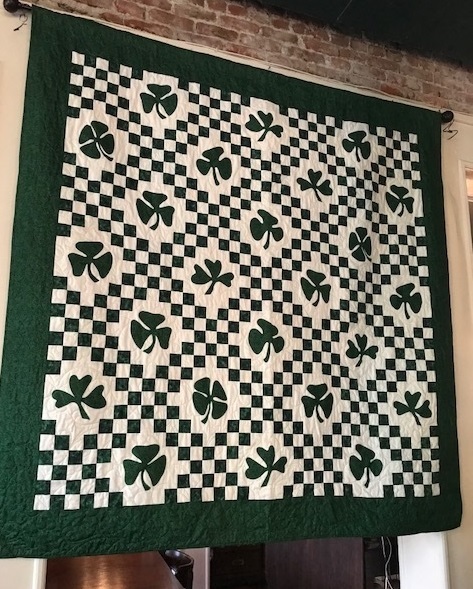 Murphy's Hawaiian-style shamrock quilt will be given away at the block party. Live music is always a favorite attraction at the block party, of course. This year Doolin Rakes returns to the block party’s Main Stage with Honolulu’s favorite brand of Irish pub pub rock and roll, followed by Honolulu rock legends Elephant. An antique chandelier in Murphy's historic home. Established as the Royal Saloon (it has also been known as the Royal Hawaiian Tavern, among other names), the building that is now Murphy’s played an important role in the start of tourism in Hawaii. When it opened the 1890s, liquor sales at the Royal Hawaiian Saloon made its owner Walter Chamberlain Peacock a fortune. He used his money to purchase land in Waikiki that would become the famous Moana Hotel, widely considered to be the first hotel in Waikiki. The Irish have a long history in Hawaii, and every year during the Murphy’s St. Patrick’s Day Block Party, thousands of residents and visitors throng to historic Chinatown to celebrate it. For more information, visit www.murphyshawaii.com.